By supporting businesses in the carpentry industry, our company has launched services related to the pre-treatment of wood. We invite you to use our machine park , where you will find, among others, a CNC for processing wood and boards and a panel saw. We also have our own paint shop and press for veneers. 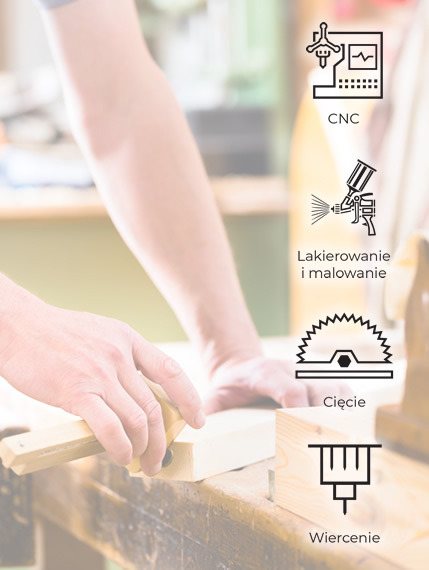 We provide services in the field of drilling, milling, varnishing, cutting and edge banding as well as veneering boards and fronts. We offer the highest quality at reasonable prices. We invite all interested parties to contact and cooperate with us.